Centre for Young Musicians Taunton is delighted to be presenting a Music Teachers’ CPD Seminar on Understanding Autism. 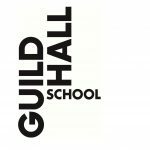 The Music Teachers’ CPD Seminar on Understanding Autism is designed for instrumental / vocal teachers who work with students who have Autism. It will be delivered by expert in the field of Autism, Ruth Garbett, Advisor to The Cedar Centre. Centre for Young Musicians Taunton (CYMT) is delighted to present this seminar for music teachers’ Continuing Professional Development (CPD). It promises to be a very worthwhile event. There will be a chance to ask questions which we hope will lead to interesting discussions, and the opportunity to network over a free coffee / tea / juice. Ruth Garbett is an Advisor to The Cedar Centre Autism Base at Heathfield Community School, a large comprehensive secondary school near Taunton, where she was a Special Needs Co-ordinator for many years. Ruth has taught children across the whole range of ages and she has been a playgroup supervisor. She has a wide range of experience of both mainstream students and students with additional needs. The Cedar Centre is a purpose built facility designed to support students with autism to access mainstream school life at Heathfield Community School. Opened in 2012 the Centre aims to promote inclusion and enable students to become independent learners; encourage and support students in academic and social processes of school life. CYMT provides high quality sustainable musical training for young people on Saturdays in term time. Launched in March 2014, CYMT is open to all committed young musicians aged 5-18 to attend on Saturdays in a sustained programme of weekly training comprising ensemble work including orchestra and bands, singing, instrumental lessons, music production, history of music, theory of music, and aural classes, all taught by a high quality team of dedicated and enthusiastic tutors. 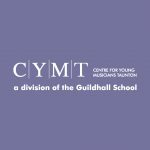 Based at Richard Huish College in Taunton, and with bursaries available from the Guildhall School and Sound Foundation Somerset, all children aged 5 – 18 interested in music can join CYMT, from beginners to advanced, and there are no auditions. Students have regular opportunities to perform any styles of music they wish, and CYMT strives to support all students with a friendly, welcoming and all-inclusive atmosphere.